Rule. Mrs. M.M. Bhatt, learned senior standing counsel is directed to waive service of rule on behalf of the respondents. Since the controversy involved in the present petition lies in a very narrow compass, the matter is taken up for final hearing today. “1. Issue a writ of certiorari and/or a writ of mandamus and/or any other writ, direction or order to quash and set aside the impugned notice dt. 28th Oct., 2009 under section 148 of the IT Act, 1961 annexed hereto at Annex. T along with preliminary order dt. 5th March, 2010 annexed hereto at Annex. ‘M’ for proceeding and completing reassessment proceedings. 2. Pending admission, hearing, and disposal of this petition, ad Interim relief be granted and the respondent be ordered to restrain from enforcing compliance of the impugned notice dt. 28th Oct., 2009 at Annex. T and/or taking any other steps in this regard including ex parte order or implementation of preliminary order dt. 5th March, 2010 at Annex. ‘M’. 4. Award the cost of this petition. 3. The petitioner, a company filed return of income for assessment year 2004-05 along with necessary documents like statement of income, audited accounts, auditor’s reports in Form Nos. 3CB, 3CD, 10CCAC and 29B. The AO issued notice under section 143(2) of the Act and vide order dt. 26th Dec, 2006, framed scrutiny assessment under section 143(3). Being aggrieved on certain counts, the petitioner preferred appeal before CIT(A) to the extent it was aggrieved by the assessment order, which came to be partly allowed vide order dt; 26th April, 2007 and order giving effect to the said order was passed by the respondent AO under section 250 on 3rd Oct., 2007. 4. The respondent AO issued notice dt. 28th Oct., 2009 under section 148 of the Act seeking to reopen the assessment for the year 2004-05. The petitioner filed its reply to the said notice on 27th Nov., 2009 along with a copy of the acknowledgment of the return filed before the AO in response to the notice under section 148 and requested for a copy of the reasons recorded. The AO furnished the reasons for reopening the assessment vide letter dt. 20th Jan., 2010. The petitioner filed its objections against the reasons for reopening on 8th Feb., 2010 which came to be disposed of vide order dt. 5th March, 2010. Vide notice dt. 5th March, 2010 under section 143(2) of the Act, the respondent called upon the petitioner to furnish certain information in connection with the return of income filed for assessment year 2004-05. Being aggrieved the petitioner has approached this Court by way of this writ petition under Art. 226 of the Constitution of India seeking the reliefs noted hereinabove. 5. Mr. R.K. Patel, learned advocate for the petitioner has vehemently assailed the impugned notice contending that the respondent AO wants to reprocess the issues pertaining to section 115JB and deduction under section 80HHC of the Act which were already processed thoroughly at the time of scrutiny assessment under section 143(3) of the Act. It is submitted that the notice has been issued beyond a period of four years from the end’ of the relevant assessment year for which scrutiny assessment order under section 143(3) has already been framed. It is submitted that at the time of framing the assessment order the AO has taken a conscious decision on both the issues of section 115JB and section 80HHC and that the reasons recorded for issuance of notice under section 148 indicate mere change of opinion on the same issues. It is submitted that there is no failure on the part of the petitioner in either filing return or furnishing all particulars truly and completely; that the reasons recorded by the respondent are based on details and information filed by the petitioner. It is, accordingly, submitted that the issuance of notice and initiation of proceedings under section 147 r/w section 148 of the Act are violative of the proviso to section 147 of the Act. 6. Learned advocate for the petitioner has further submitted that on the basis of computation of total income, audit report under Form 29B and audit report under Form 10CCAC filed by the assessee along with its return of income, the then AO had finally assessed the income on book profit under section 115JB and allowed the claim for deduction under section 80IIHC. Thus, there was due application of mind on the part of the AO while computing the book profit under section 115JB and allowing the deduction under section 80HHC claimed by the assessee company. Hence, reopening the case under section 147 on the very same issues is nothing but a change of opinion on the same set of facts. Inviting attention to the affidavit-in-reply filed by the respondent, it is submitted that the respondent has stated in the affidavit-in-reply that the petitioner did not disclose fully and truly all material facts necessary for its assessment on the issues raised by it. Inviting attention to the reasons recorded for reopening assessment, it is pointed out that the reasons do not record that the assessee had not disclosed fully and truly all material facts. It is submitted that the respondent authority having failed to show from the reasons recorded that there is any material to treat any income as escaped income, or to indicate that the petitioner has failed to disclose fully and truly all material facts and in absence of any new information for any probable escapement of income, the respondent lacks jurisdiction for reopening assessment. 7. On the other hand, Mr. M.R. Bhatt, learned senior advocate for the respondent has vehemently opposed the petition. The learned counsel has placed reliance upon the affidavit-in-reply made by the respondent No. 1 wherein, it has interalia been stated that in the original assessment order, the claim of the deduction under section 80HHC had not been examined from the angle that as per the provisions of section 80-IA(9), the petitioner had not reduced the deduction claimed under section 80-IA before computing deduction under section 80HHC. That since on this issue, the petitioner’s claim of deduction had not been examined, no opinion was formed by the AC) during the original assessment. That by claiming deduction which was not in accordance with the provisions of law, the petitioner is deemed to have not disclosed fully and truly all material facts necessary for its assessment for that assessment year. That similarly, the reduced amount of deduction under section 80HHC would increase the amount of book profit of the petitioner as per section 115JB of the Act which had not been dealt with by the AO in the original assessment order. As regards the contention raised by the petitioner that in absence of any new information showing any escapement of income, the respondent lacks jurisdiction for reopening assessment, it is stated in the affidavit-in-reply that the return of income filed by the petitioner and the records of the assessment proceedings constitute tangible material to come to the conclusion that there was escapement of income from assessment. It is accordingly, submitted that the petitioner having failed to disclose fully and truly all material facts necessary for its assessment, the respondent is justified in reopening the assessment in exercise of powers under section 147 of the Act. 8. Section 147 of the Act provides that if the AO has reason to believe that any income chargeable to tax has escaped assessment for any assessment year, he may, subject to the provisions of sections 148 to 153, assess or reassess such income and also any other income chargeable to tax which has escaped assessment and which comes to his notice subsequently in the course of the proceedings under the section, or recompute the loss or the depreciation allowance or any other allowance, as the case may be for the assessment year concerned. The proviso to section 147 provides that where an assessment under sub-section (3) of section 143 or section 147 has been made for the relevant assessment year, no action shall be taken under the section after the expiry of four years from the end of the relevant assessment year, unless any income chargeable to tax has escaped assessment for such assessment year by reason of failure on the part of the assessee to make a return under section 139 or in response to a notice under sub-section (1) of section 142 or section 148 or to disclose fully and truly all material facts necessary for his assessment, for that assessment year. 9. In the facts of the present case, it is an admitted position that notice under section 148 of the Act for reopening the assessment for assessment year 2004-05 has been issued after the expiry of the period of four years from the end of the relevant assessment year. In the circumstances, the proviso would come into play and it would be permissible for the AO to take action under section 147 only if the conditions laid down thereunder, viz., any income chargeable to tax has escaped assessment (i) by reason of failure on the part of the assessee to make a return under section 139 or in response to notice issued under section 142 or section 148; or (ii) by reason of failure to disclose fully and truly all material facts necessary for his assessment, for that assessment year. Insofar as the first condition is concerned, it is not even the case of the Revenue that there is any failure on the part of the petitioner to make return under section 139 or in response to notice under section 142 or section 148. It is the case of the respondent AO that income chargeable to tax has escaped assessment by reason of failure on the part of the assessee to disclose fully and truly all material facts necessary for his assessment for that assessment year. 10. It is well settled as held by the Supreme Court in a catena of decisions which have been referred to in the memo of petition that the duty which is cast upon the assessee is to make a true and full disclosure of the primary facts at the time of the original assessment. Production before the AO of the account books or other evidence from which material evidence could with due diligence have been discovered by the AO will not necessarily amount to disclosure contemplated by law. The duty of the assessee in any case does not extend beyond making a true and full disclosure of primary facts. Once he has done that his duty ends. It is for the AO to draw the correct inference from the primary facts. It is no responsibility of the assessee to advise the AO with regard to the inference which he should draw from the primary facts. If an AO draws an inference which appears subsequently to be erroneous, mere change of opinion with regard to that inference would not justify initiation of action for reopening assessment. The grounds or reasons which lead to the formation of the belief contemplated by the proviso to section 147 of the Act must have a material bearing on the question of escapement of income of the assessee from assessment because of his failure or omission to disclose fully and truly all material facts. “The assessee company filed its return of income on 29th Oct., 2004 declaring total income of Rs. 23,54,96,896. The assessment was finalized under section 143(3) determining totally income at Rs. 24,19,86,700. On verification of the records, it is seen that the assessee company had reduced an amount of Rs. 3,68,02,210, from book profit as per clause (viii) of second proviso of section 115JB of the Act instead of Rs. 1,02,22,660 resulting into underassessment of Rs. 2,65,79,550. Further, it is seen that excess deduction under section 80HHC has been allowed at Rs. 8,18,002. 12. On a plain reading of the reasons recorded for reopening the assessment, it is apparent that what is stated therein is that in the opinion of the respondent the income referred to therein has escaped assessment. The reasons do not reflect that the petitioner has failed to disclose fully and truly any material facts necessary for its assessment for the year under consideration. In the objections filed by the petitioner against the notice under section 148 of the Act, it was the specific case of the petitioner that it had not defaulted in disclosing fully and truly all material facts necessary for the assessment. However, the order disposing of the objections is totally silent in respect of the same. Thus, neither the reasons for reopening the assessment nor the order disposing of the objections indicate that there was any failure on the part of the petitioner to disclose fully and truly all material facts relevant for its assessment. 13. From the reasons recorded as well as the order disposing of objections and the affidavit-in-reply filed by the respondent, it is apparent that it is the case of the respondent that in the original assessment order, the claim of the deduction under section 80HHC of the Act was not examined from the angle that as per the provisions of section 80-IA(9), the petitioner had not reduced the deduction claimed under section 80-IA before computing deduction under section 80IIHC. Similarly, according to the respondent, deduction under section 80HHC would increase the amount of book profit of the petitioner as per section 115JB of the Act which had not been dealt with by the predecessor AO in the original assessment order. Thus, in effect and substance, the respondent seeks to reopen the assessment mainly on the ground that while making the original assessment order, the predecessor AO had not examined certain issues from the angle desired by the present AO. The opinion formed by the successor AO regarding escapement of income is not based upon any new material or facts having come to his notice which is evident from the affidavit-in-reply made by the respondent wherein he has categorically stated that the return of income filed by the petitioner and the record of proceedings constitute tangible material to come to the conclusion that there was escapement of income from assessment. In the circumstances, it is apparent that the reopening of assessment under section 147 is nothing but a change of opinion on the same set of facts. Thus, the petitioner is justified in contending that if notice is issued for reopening proceedings after expiry of four years from the end of the relevant assessment year and no new material is there on the basis of which reopening of proceedings is initiated, the jurisdiction is not validly assumed. 14. From the facts emerging on record, there is nothing to indicate that the petitioner has withheld any particulars. The successor AO has verified the same record to come to the conclusion that there is escapement of income which could have been done at the initial stage itself. There is nothing on record to indicate any omission on the part of the assessee in fulfilling any obligation in law. Whether the AO while framing original assessment had failed to work out the tax liability correctly or not, the assessee cannot be charged for any omission. 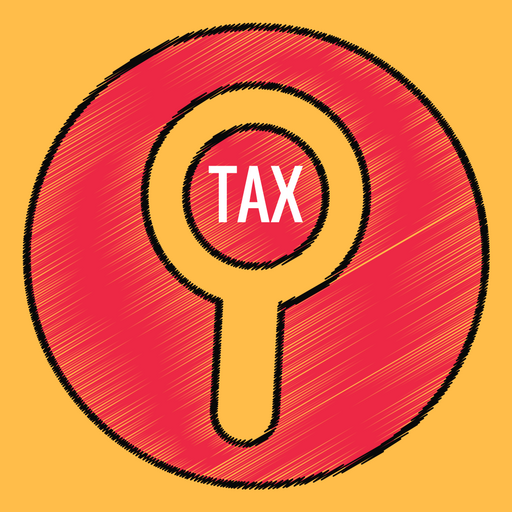 In case the assessee had laid a claim to a particular amount, it was the job of the AO to correctly compute the tax liability. Merely making a claim cannot be stated to be non-disclosure of material facts so as to vest in the AO jurisdiction under section 147 of the Act. Besides, as already noted hereinabove, the respondent seeks to reopen the assessment after a period of four years from the end of the relevant assessment year. In the reasons recorded, there is nothing to indicate that the assessee has failed to disclose fully and truly all material facts necessary for its assessment for the year under consideration. Hence, the ingredients of the proviso to section 147 of the Act are clearly not satisfied. In the circumstances, there is no justification for assumption of jurisdiction by the respondent AO for reopening the proceedings under section 147 of the Act. The entire proceedings initiated pursuant to the impugned notice dt. 28th Oct., 2009, therefore, are without jurisdiction and as such, cannot be sustained. 15. For the foregoing reasons, the petition succeeds and is accordingly allowed. The impugned notice dt. 28th Oct., 2009 under section 148 of the IT Act, 1961 (Annex. T) as well as preliminary order dt. 5th March, 2010 (Annex. ‘M’) are hereby quashed and set aside. Rule is made absolute accordingly with no order as to costs. This entry was posted in Section 149 and tagged 334 ITR, Gujarat High Court, In favour of Assessee, reassessment of income, writ against reassessment notice.